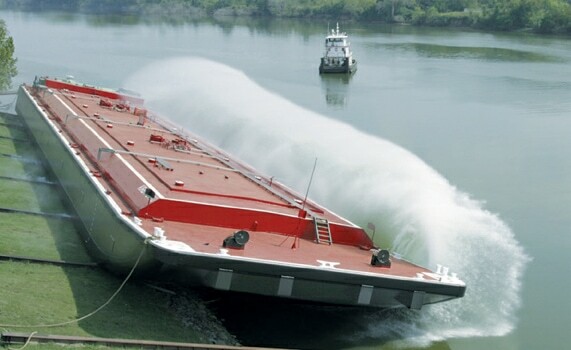 Arcosa Marine will invest $7.5 million to reopen the idle barge manufacturing operations in Madisonville, with a goal of beginning customer deliveries later this year. A division of Dallas-based Arcosa Inc., the company will install new equipment and complete facility. The company is a leading manufacturer of barges for inland waterways, and will produce multiple barge types at the Madisonville site. The plant is located off La. 21 along the Tchefuncte River. The facility has been largely idle since Trinity Marine closed the site in December 2015. Trinity has owned the facility for decades; it routinely adjusts operations based on demand for its products. The barges transport cargo and liquids on rivers and other inland waterways. Arcosa Marine operates within the Transportation Products Group, one of three principal business segments for Arcosa Inc., which also includes the Construction Products Group and the Energy Equipment Group. LED began discussions with Arcosa about a potential expansion project at the 230-acre Madisonville site in December 2018. Incentives include LED FastStart® and the Quality Jobs and Industrial Tax Exemption programs. The company anticipates creating 149 jobs.